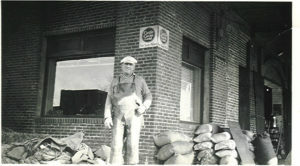 Historic photo of an old foreman standing on the corner of what is now Amelia's Gift Shop. Amelia's Gifts shop, occupies the space that in the 1880's served as the coal sales office of the Napa Mill. Amelia was the daughter of Captain Albert Edward Hatt, the owner of the Napa Mill. Today Amelia's Gifts, located in the lobby of the Napa River Inn carries a tasteful assortment of products that reflect the lifestyle of the world renowned Napa Valley. 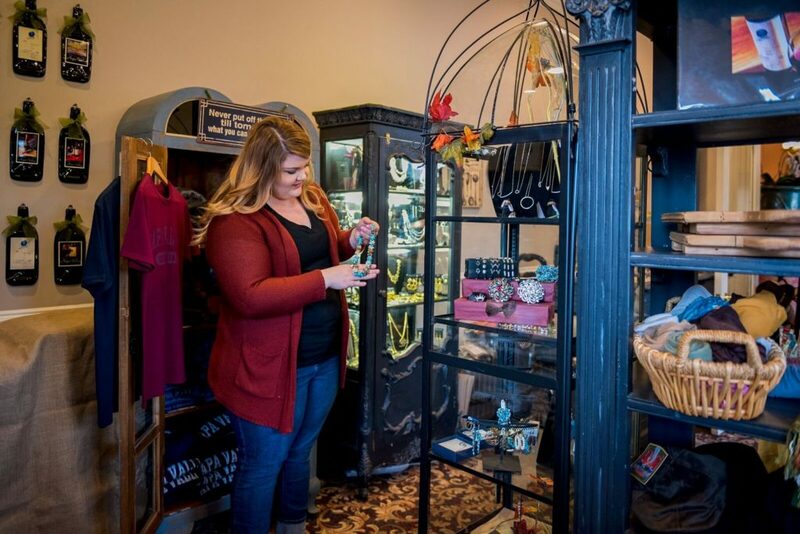 The shop caters to Napa Mill customers, hotel guests and local shoppers. If you are looking for gifts, personal spa products, local artisan goods, jewelry, handbags or market baskets; we invite you to stop by and experience the Napa lifestyle for yourself.